If there is peace on earth there is peace in a city. If there is peace in a city there is peace in a soldier. If there is peace in a soldier then there is love. Hey Lulu … the soldiers who served and continue to serve our country would be so touched by your beautiful words. Thank you for writing this. It is very inspiring. I love you. Daddio. Cate, I’m so impressed with your poem! We are so proud of your great work! What a great poem! Remembrance Day means a lot to us. Grand-maman et grand-papa. love you so much. 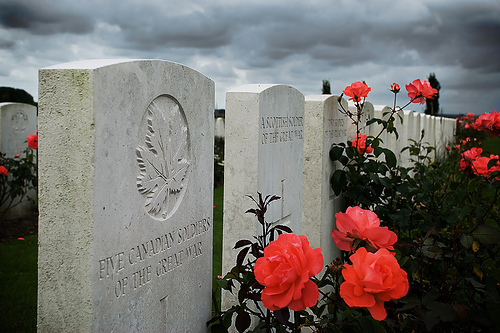 Dear Cate: I really enjoyed reading your lovely poem on Remembrance Day. It was very thoughtful and well done. Hi Cate; Your poem shows what a caring and thoughtful person your are. Well done and congratulations on being such a creative poet.